I came across this passage in Shaun McNiff’s Trust the Process: An Artist’s Guide to Letting Go that speaks to the tension between fear of making mistakes and the necessity of them in the creative process. 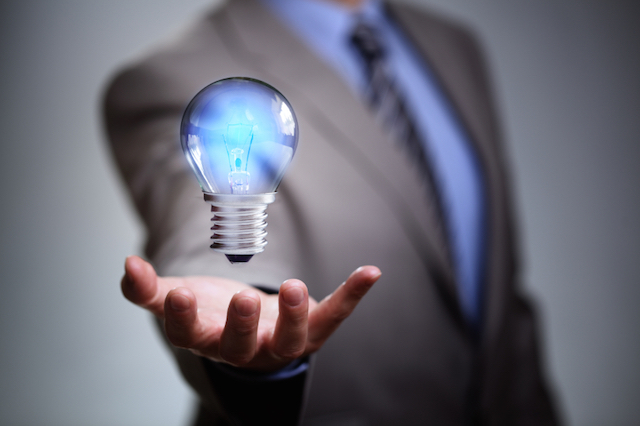 Management, generally by its nature and incentive system, attempts to remove variability and thus mistakes. Yet mistakes are a necessary component of creativity. Fear also plays an important role in the creative process and how we come up with creative insights. Theodor Seuss Geisel, better known as Dr. Seuss, was the famous children’s book author. He was also a philosopher. Seuss-isms! A Guide to Life for Those Just Starting Out…and Those Already on Their Way offers a taste of some of his wit and wisdom. My father had warned me, “Don’t babble. Don’t bray. And I guess that I should have. I made a bad slip. I floated twelve days without toothpaste or soap. And you know what I saw with the look that I took? A bird laid an egg on my ‘rithmetic book! The places I hiked to! that have ever been scrambled! — I Can Read with My Eyes Shut! — Did I Ever Tell You How Lucky You Are? in the sun where he lay. Did that stop the old Grinch? Seuss-isms! 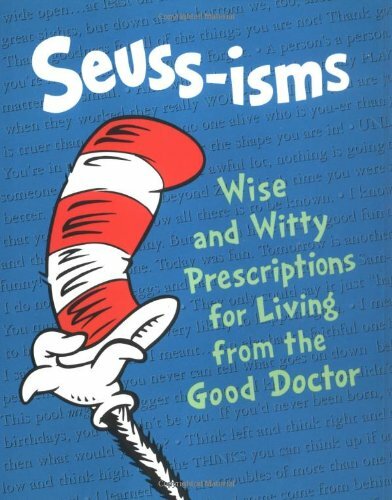 A Guide to Life for Those Just Starting Out…and Those Already on Their Way dispenses invaluable life advice like only Dr. Seuss can. In a letter to his brother Theo, dated July 1882, found in Ever Yours: The Essential Letters, Vincent van Gogh describes how the simple few fundamentals combine into nearly endless permutations. Absolute black doesn’t in fact occur. Like white, however, it’s present in almost every colour and forms the endless variety of greys — distinct in tone and strength. So that in nature one in fact sees nothing but these tones or strengths. The 3 fundamental colours are red, yellow, blue, “composite” orange, green, purple. But the whole chemistry of colours is no more complicated than those simple few fundamentals. And a good understanding of them is worth more than 70 different shades of paint — given that more than 70 tones and strengths can be made with the 3 primary colours and white and black. The colourist is he who on seeing a colour in nature is able to analyze it coolly and say, for example, that green-grey is yellow with black and almost no blue, &c. In short, knowing how to make up the greys of nature on the palette. 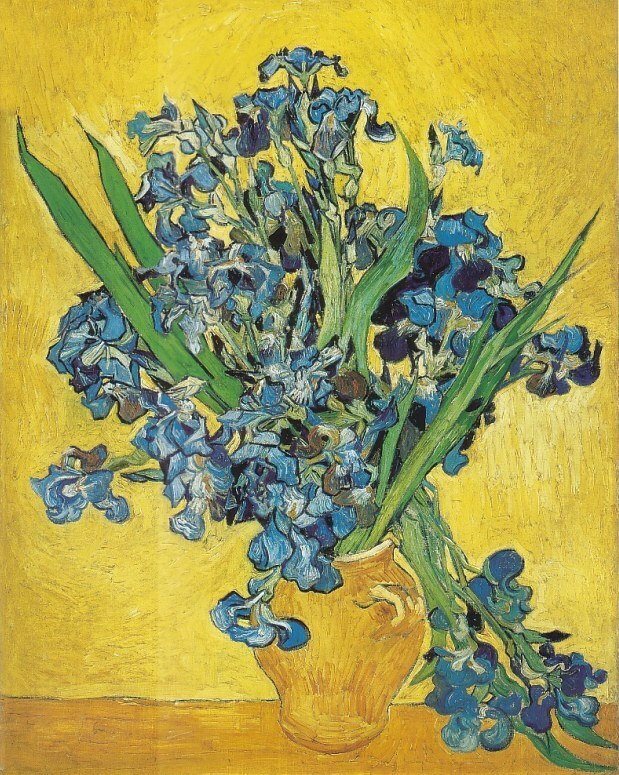 In a letter to his brother Theo, dated September 1882, found in Ever Yours: The Essential Letters, Vincent van Gogh describes the advantages of never learning to paint. However, because this effect doesn’t last, I had to paint quickly. The figures were done with a few vigorous strokes with a firm brush — in one go. I was struck by how firmly the slender trunks stood in the ground — I began them using a brush, but because of the ground, which was already impasted, one brushstroke simply disappeared. Then I squeezed roots and trunks into it from the tube, and modelled them a little with the brush. Yes, now they stand in it — shoot up out of it — stand firmly rooted in it. In a sense I’m glad that I’ve never learned how to paint. Probably then I would have LEARNED to ignore effects like this. Now I say, no, that’s exactly what I want — if it’s not possible then it’s not possible — I want to try it even though I don’t know how it’s supposed to be done. I don’t know myself how I paint. I sit with a white board before the spot that strikes me — I look at what’s before my eyes — I say to myself, this white board must become something — I come back, dissatisfied — I put it aside, and after I’ve rested a little, feeling a kind of fear, I take a look at it — then I’m still dissatisfied — because I have that marvellous nature too much in mind for me to be satisfied — but still, I see in my work an echo of what struck me, I see that nature has told me something, has spoken to me and that I’ve written it down in shorthand. In my shorthand there may be words that are indecipherable — errors or gaps — yet something remains of what the wood or the beach or the figure said — and it isn’t a tame or conventional language which doesn’t stem from nature itself but from a studied manner or a system.